SoundMagic is a brand which many of you may not heard about.. 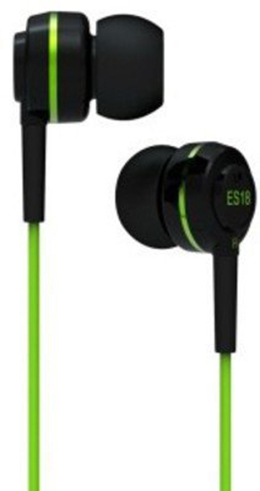 But its really a good one, emerging and proving to be good at headphone market. They are offering good mid-range ones with nice quality and design. Now we have their SoundMagic ES 18 here (a red one) for the review. So lets get inside. Looks are good.. very good. It comes in 3 color combinations: Red+Black, Green+Black and Orange+Grey. We have the red and black here. The wire is fully red in color while the headset and ear-buds are black. There’s a red colored lining on the headset and “SoundMagic” branding on left and ES 18 on right earpieces. The cable is having a little matte-like finish which is good looking too. It just rocked here too.. Its clear and flat with good detail in music. I’ve have tested it with an online tool too which gave good results. Bass is good and Treble is little below good. This can play any genre with ease and it’ll blow your mind. I’ve listened to Rock. Overall its positive here. The headset is comfortable to use overall and each earpieces fit well into the ears. They’ve provided extra (S,L) silicone ear-tips for those who have small or large ears. They come with a carry pouch too which is really a good addition. No other headsets at this (or at even higher) range offer a pouch. The wires are matte-like which is a plus I think. The jack is well-designed to keep the wire free. Overall Rating: 8/10 which is a good score and means buy it with no doubts! I assure you that you won’t be disappointed with this SoundMagic ES 18. Share your thoughts as comments! In the box: the headset, 3 pairs of ear-tips (S,M,L) and a pouch which is really a surprising offering.